Ian & Sylvia were a Canadian husband-and-wife folk duo. 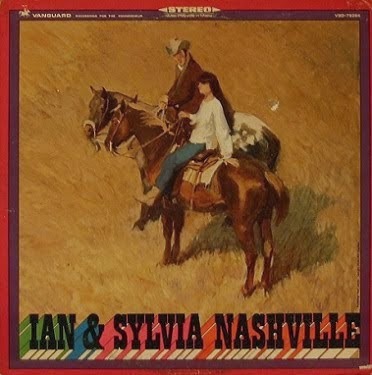 In 1968 Ian & Sylvia released Nashville, their final album on the Vanguard label. Technically they had already begun recording for MGM (the label on which the previous year's Lovin' Sound had been released), but some confusing technicalities meant they still owed one more for Vanguard to fulfil their contract. Like the name suggested, the new album was recorded in Nashville, Tennessee, with help from a number of seasoned session musicians including Pete Drake, Fred Carter, Jr., Buddy Spicher, Norbert Putman and Kenny Buttrey. Over their last few albums Ian & Sylvia had expanded their acoustic folk sound to incorporate elements of both electric folk-rock and country music - Nashville unsurprisingly had a notable increase in country elements, and retrospectively can be seen to fit in with the country-rock movement which was then starting to take off. Most of the songs were originals, though it did also feature two of Bob Dylan's Basement Tapes compositions - "The Mighty Quinn" and "This Wheel's On Fire". Wonderful music. Thanks so much. Is possible The best of Ian & Sylvia (Columbia 1974) containing Ian & Sylvia - 1971 and You were on my mind - 1972? If anyone could share the lyrics to Farewell to the North, I'd greatly appreciate it!